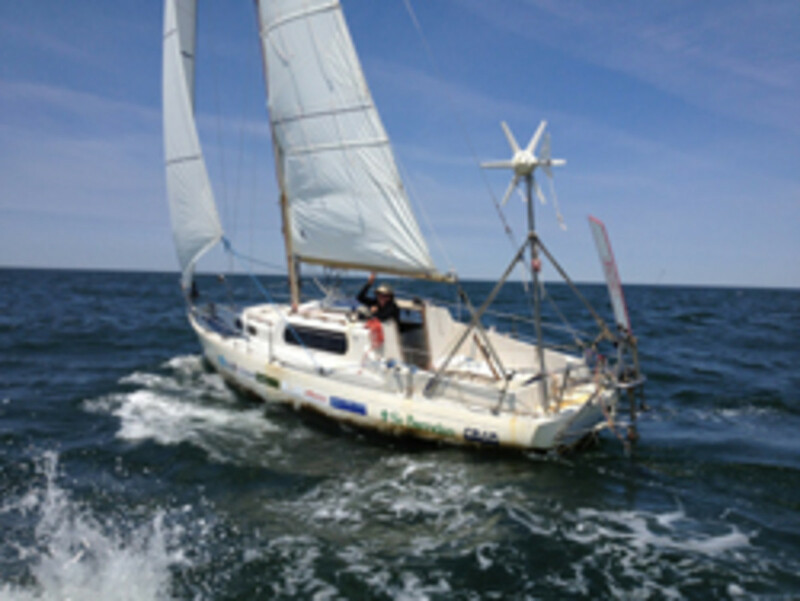 Adventurer Matt Rutherford will receive a hero’s welcome Saturday when he arrives in Annapolis, Md., completing a 25,000-mile voyage around North and South America in a 27-foot Albin Vega sailboat. He will enter the record books as the first person to ever make the 300-day journey solo and non-stop. Rutherford will drop anchor at the National Sailing Hall of Fame dock at the end of City Dock at 67-69 Prince George St. in Annapolis. The celebration will begin at noon. The public is encouraged to join a crowd of supporters – including friends, the sailing community, and public officials – who will greet Rutherford and cheer his achievement. Gary Jobson, president of US Sailing, author of 17 sailing books and editor-at-large of Sailing World and Cruising World magazines, will preside as the emcee for the welcome on land. Rutherford made the voyage to raise $250,000 for Chesapeake Region Accessible Boating, a non-profit sailing program for people with disabilities based in Annapolis, Md. Track Matt’s progress, map his course and read his ongoing blog at www.solotheamericas.org.